Automated legal tool DoNotPay is trying to help people lock down their online privacy settings and sue companies that get hacked. Created by 21-year-old entrepreneur Joshua Browder, DoNotPay started out by helping users challenge parking tickets. It has since expanded into more than a thousand new areas, from getting flight discounts to assisting with landlord disputes. 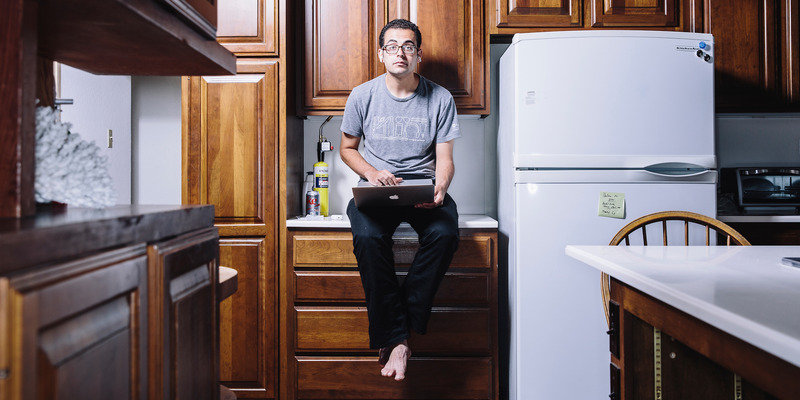 First Joshua Browder went after parking tickets, building a bot that helped hundreds of thousands of users challenge their fines. Then, the 21-year-old student broadened his focus, expanding into everything from landlord disputes to chasing compensation for lost luggage on flights. In 2018, Browder took aim at Equifax after a data breach exposed the personal data the firm held on tens of millions of Americans, and his app DoNotPay was used to help file 25,000 lawsuits against the company. The British entrepreneur is now expanding into privacy and data security. On Wednesday, he announced that DoNotPay will now help users easily lock the privacy settings on their social media accounts – and help sue those companies that expose users’ data through hacks and breaches. “My data was hacked and sold by Cambridge Analytica,” he told Business Insider in an email, referring to this year’s Facebook security scandal. “At the time, it seemed like data breaches were uncommon. However, in the past year, it has become the most requested feature to add to DoNotPay. So how does DoNotPay work? DoNotPay is a tool that provides automated, free legal assistance. The user writes in what they need help with, and they’re then asked relevant questions before being given appropriate documentation or guidance on how to tackle their problem – from flight refunds to maternity leave requests – sidestepping the need for traditional (and costly) legal guidance. There’s two strands to Wednesday’s update. The first is focused on privacy, and helps users lock down their accounts from prying eyes. It automatically makes a series of what Browder calls “no brainer” changes to users’ settings on Facebook, Instagram, and Twitter – like disabling personalised Twitter ads, deleting your call and text history from Facebook, and stopping other accounts seeing when you’re online on Instagram. Google will also be added soon “in light of the recent issues,” Browder said, referring to this week’s disclosure of a security lapse in the Google+ social network. The second part is all about hitting back at services that have been hacked, exposing users’ data. Using HaveIBeenPwned, a service that lets users know if apps and platforms they use have been hacked, DoNotPay will tell users if they have been compromised – then help the affected user sue the company in question, if they desire. Originally from the UK, Browder was a student at Stanford University in California and now works full-time on DoNotPay. His startup has raised $US1.1 million in funding from venture capital firms including Andreessen Horowitz.